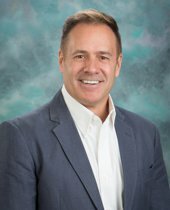 Curt Mellon and Mike Federau have forged a successful partnership for more than 35 years, first in the field of insurance and more recently in residential real estate in southwest Florida; including the areas of Port Charlotte, Punta Gorda, North Port, Boca Grande, Englewood, Venice, Arcadia, North Fort Myers and, North Cape Coral. With experience in both building design and construction, Curt Mellon and Mike Federau realized their long-held dream of employing their expertise in the Sunshine State in 1994. After several years in Naples, Florida they relocated Punta Gorda. “It felt like the right time, and Punta Gorda felt like the right place,” they said; and it was. Both Curt and Mike were raised in large families in Michigan, where their natural congeniality was well suited to working easily with clients in private business. Their eagerness to serve has transferred perfectly to Florida real estate. Professionalism, a solid work ethic and insistence on putting clients’ needs first have been rewarded with a thriving South Florida real estate business as well as a long roster of satisfied clientele. – Ron & Stacy W.
-- Bob & Connie P.
"We have used Mike and Curtis as our realtors for several years now and have always been impressed with their professionalism and commitment. We are always very happy with their service and wouldn't hesitate to use them in the future." -- Bo & Eva K.
-- Bob & Pat R.
-- Fred & Sandra S.
-- Rick and Annabelle T.
-- Dan and Chris T.
-- Gary & Kathleen J. We started casually looking for a place in Florida a couple of years ago. Curt Mellon was recommended to us and we contacted him in January 2017. He showed us some properties and got the ball rolling, assuring us that there was no rush. For the next six months, we viewed condos online and made one short trip down to Florida to see some properties with Curt. During the whole time Curt and his assistant Jennifer answered any questions we had, promptly with a complete understanding of their business and our situation. In July, we looked around once more during another trip and decided on a place. The offer, paperwork and negotiation all were handled expertly by Curt and his team. We settled on August 31st and couldn’t have been happier with the way the transaction unfolded. Ten days later, Hurricane Irma made landfall on the West Coast of Florida. After the storm, without prompting from us, Curt contacted us to let us know that he walked around our property and saw no damage. We appreciated that Curt took the time to put us at ease. We will not hesitate to use Curt and the team for any real estate transaction in the future and would highly recommend them to anyone interested in moving into this area.